Is there a Jam Song Book for 2019? In 2019, Sing Plus 2 has come out in February. Sing and Jam are now alternating bi-annually. ie.Sing Plus - 2017, Jam Plus - 2018, Sing Plus 2 - 2019, Jam Plus 2 - 2020. My Mac is not letting me install Black Belt Recorder Interactive or SongTorch. How can I fix this? Apple has new security to encourage you to only buy their software. MAX OS SEIRA - Once installed, just go to the Applications folder (not the Launchpad) and hold control while you click the app. Then choose OPEN at the top. You won't have any trouble after that. MAX OS El Capitain - You can overcome this by making one minor change to your MAC settings. On the desktop where you start your programs, there is a grey buttons called 'System Preferences'. Click on it and then click on 'Security & Privacy'. Change that to 'Anywhere'. If that is greyed out, click on the padlock in the bottom left and unlock using your password. Then you can install the software. You can then put the settings back if you wish. After updating SongTorch, it still asks to update. Help? You are stilling opening an old version. Go to the control panel, add and remove apps/programs. Then install the latest SongTorch from this website. Contact us if you would like us if you have any trouble. SongTorch is saying "Check Internet" when I know the internet it working on my browser. How can I fix this? Your school security acts differently when you are using a browser to when you are using the internet in an application. Ask your IT person to whitelisted ijam.com.au with a wildcard (.ijam.com.au). This issue will no longer happen. How do I ask a question about Black Belt Recorder for iPad or anything else? If you have a question about this application or anything else, use the chat. Don't forget to add you're email in case we miss you so we can respond by email. You can also email us. See 'Contact Us' above or below. If you are in Australia, call us. Again see 'Contact Us'. In SongTorch or Black Belt Recorder Interactive, my school security login keeps coming up while using these programs. Customers find this stops if they open a browser first, do the security login, leave the brouser open and then start SongTorch or Black Belt Recorder interactive. I have purchased Jam 2014 or Jam 2015 Interactive Blackline Master and/or Multimedia Book. How do I access it? Start by downloading the lastest version of SongTorch from SongTorch.com (or www.ijam.com.au). You can find it down a little on the left in a green box. Choose the PC (Windows) or Mac (Apple) logos to download the correct type. and Type (personal or school). These registration details are the same as those for your website log in for any of these websites: songtorch.com, ijam.com.au, ijamed.com, blackbeltrecorder.com, songbackings.com etc. If you don't know these details email us on [email protected] or in Australia call us on 1300 66 3279. If you create new registration details they will not be the same account as used when you ordered the products. You can contact us and we will merge the two accounts. How do I learn more about SongFixer? This youtube channel will get you on track. If you have any questions click on 'Contact Us'. Clicking to update SongTorch or SongFixer only results in it asking again to update the application. How do I fix this? Cause: The new version is installing in a different place on your computer and then you are clicking on the old icon to start SongTorch or SongFixer and therefore are opening the old version. Solution 1 - Easy: To start SongTorch or SongFixer you click on an icon on the desktop or elsewhere. Start SongTorch or SongFixer, then go back to where that icon is. Right click on it and press delete. Then continue with the update install. You should now find a new icon that will start the new SongTorch or SongFixer. Solution 2 - Less easy: Go to Start button, Control Panel, Programs and Features and click on all versions of SongTorch or SongFixer and press uninstall. Then go to www.ijam.com.au and install the latest version of SongTorch or SongFixer from the website. Enjoy! How do I deactivate Black Belt Recorder Interactive for PC or MAC and install it on another computer? If you update to the latest version using the update button there should be a 'Deactivate' button on the bottom right hand side of the cover page. If not, you can still deactivate from the website. Log in and go to My Licence Keys. On the right side of your licence key there should be the word Deactivate in blue. Click on it. If not, you are already deactivated and you can use the licence on another computer. The latest version of Black Belt Recorder Interactive makes Activation and Deactivation super easy. If you are having trouble with your current version download the latest one from your account, it is not there for you to download for free. I have Jam 2014 Triple CD pack. I have recently tried to play CD3 in my computer.and cannot access the songs. Is there something I am doing wrong? Both EAC and iTunes are free programs and both will see, play and even extract the songs. Enjoy! When I install SongTorch on my Mac and then when I close it I can't find it. What can I do? Install SongTorch onto your Mac. Sometimes you may need to change your security settings to 'Allow from Anywhere' (see the other FAQ about that). Once SongTorch is up and running, press the SongTorch view button (bottom right) to see the dock. Hold the Command button (it looks like curly hash symbol), while you press the SongTorch icon in the dock (the row of your main programs - often across the bottom). Then choose 'Options' then 'Keep in Dock' in the popup menu. The SongTorch icon will now stay there even after you close the program. Click it when you want to start SongTorch again. Do you need to purchase the vocal or backing versions of these songs separately? No. Both the backing and vocal versions of all 8 songs are contained on the CD. There are also harmony versions for most songs on selected CDs. Harmony tracks are extra tracks to help teach a group in your choir harmony to a given song. There can be one to four harmony tracks for one song. In each track, a specific harmony will be much louder than other vocals so that students can listen and follow the harmony. You can use the REPEAT button on your CD player to allow your students to sing one harmony over and over. Harmony tracks are included with most songs on selected CD’s. The selected CD's are usually in range we call Senior Choir. They include Senior Choir, Modern Choir, Harmony Choir and coming soon Pop Choir. These tittles are aimed at students in year 4 and above. We have also included harmony tracks on our two Christmas CD's and, coming soon, our Modern Christian Singer Series. How long will it take to get my order? What type of delivery is used? In Australia, all orders to schools are send out by courier. Normal packages are sent overnight. Extra heavy order are sent by road, taking less than a week. Orders sent to personal address are sent by Eparcel, taking less than a week. Can I purchase these products for myself? Yes. For personal orders we would like advance payment. You will still get our 100% satisfaction guarantee and can return the products if they are not what you require. We will refund the total invoiced price. 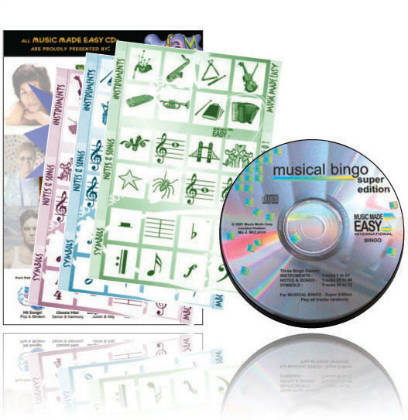 Can Music Made Easy backing and choir CD's only be used with choirs? No. We have, on average one CD in every school in Australia (and growing fast in the UK) and believe that a lot of them are being used by classroom teachers with their class for many uses. We have had teacher let us know that they love to use the songs for performances and assembly items. Can I photocopy the lyric sheets or make a copy of the CD? We would of course prefer that you didn't, but your local eduction department may have an agreement to allow you to make copies. As a teacher or a music specialist, it is your responsibility to be aware of your rights to copy and the legal limits. Your school will face heavy fines if you copy illegally any form of published music. Contact your district office for more details. You can purchase extra copies of a lyric sheet or sheet music if you have a large group of performers. It is completely illegal to copy CDs in any form. Is IJAM Music registered for GST in New Zealand? We are not registered for GST in New Zealand. 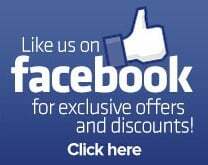 You can purchase from us GST free. My Kids in Key/Music Mad Easy CD doesn't seem to have any vocal versions, where are they? They are on there. On that product the backing versions are on tracks 1 to 8 so you can get to them quicker in a performance situation. The vocal and harmony (if applicable) versions follow. The track numbers are listed on the CD surface or booklet and for your convenience on the notation and lyrics sheets above each song.